Our August schedule is attached and can be viewed in the “schedule” section of our website. 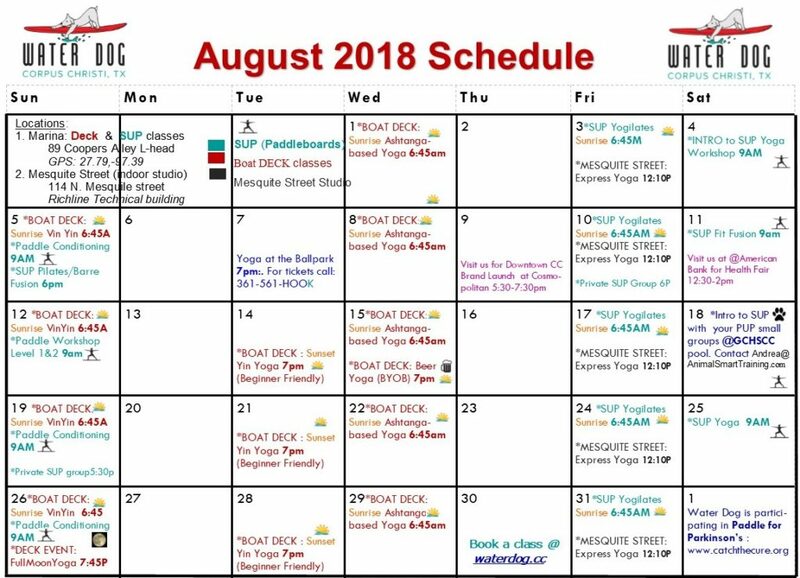 Classes in Red will be held on the boat deck, unless there is in-climate weather, in which case we will inform everyone registered and move class to the Mesquite Street Studio. 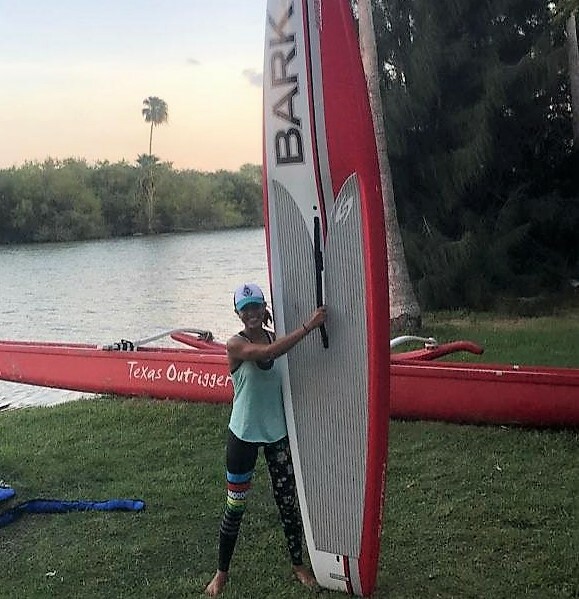 Classes in Gray will be held at our Mesquite Street in the Richline Technical Building (114 N Mesquite St) Aqua colored classes will be on the Paddleboards. Other colors will be at a off site locations as noted. 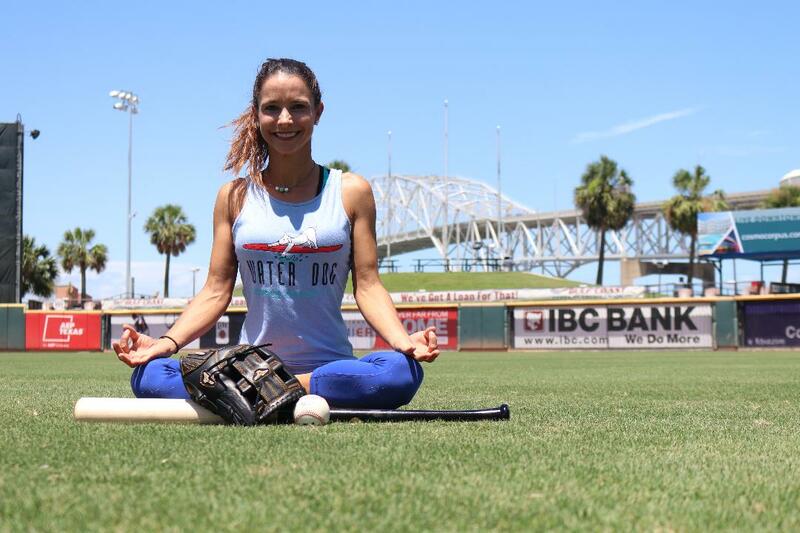 Water Dog will be hosting Yoga at the Ballpark on Tuesday, August 7th! 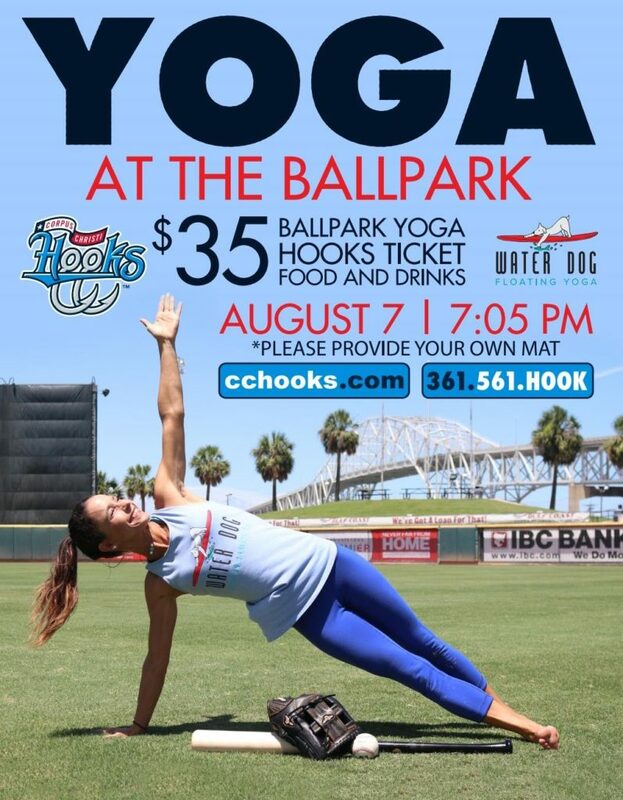 Watch the Hooks play from the VIP deck in downward facing dog and tree pose! Water Dog instructors Stacie Richline & Anastasia Nichols will lead you through a light-hearted, all levels 60min yoga class. Included in price are Hooks tickets, yoga, snacks, & beverage tickets. Mingle and eat on the VIP Deck after yoga and and enjoy the game from your corner box seats. 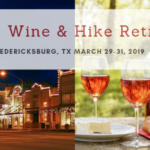 Grab some friends and enjoy the evening outdoors, being active all while supporting Corpus Christi’s local teams and local businesses! In June we had our first “SUP with your PUP” event. 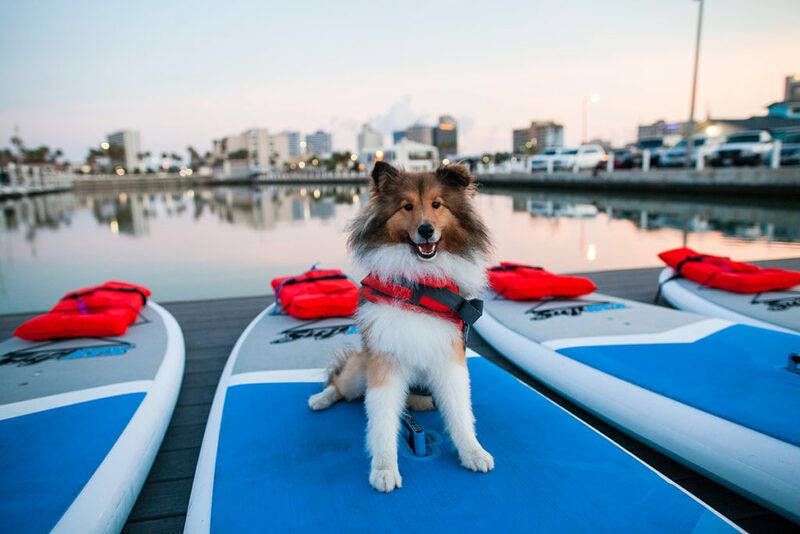 This first class was designed to introduce you and your pup to the SUP board on land! 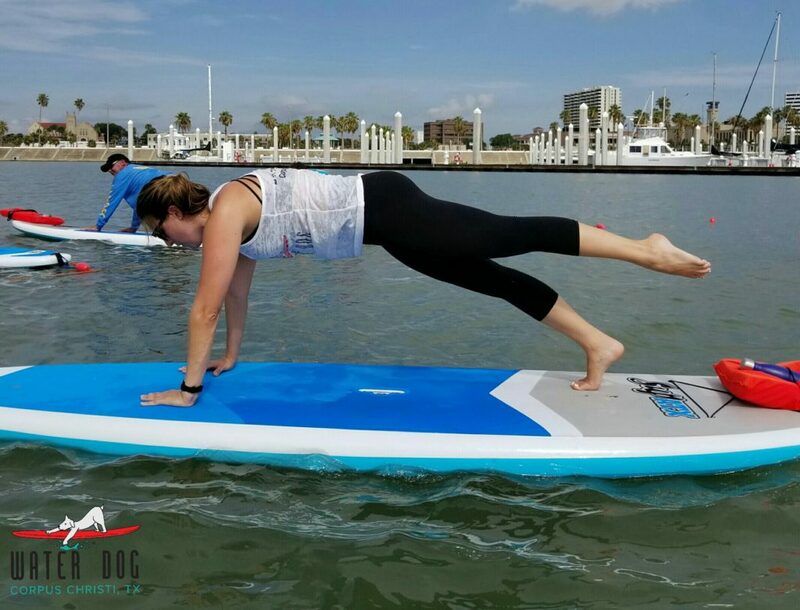 Our second SUP with your PUP event is August 18th and it will also be co-hosted with Andrea Bogle of Animal Smart Training. We will be offering semi-private lessons to train your pup to get comfortable on the SUP board. We will work on balance, behaviors and cues for a smooth ride, and talk about how to discourage unwanted SUP behaviors (jumping overboard, running around and pushing you in) 😊. Lessons will take place at the Gulf Coast Humane Society Dog Park with the first available session starting at 9am. Lessons will be 30 minutes long and involve training on land and in water. We will have two boards in the pool and one on land to work with and dogs will rotate to all the different SUP stations. Each lesson will have two instructors and 2-3 dogs per lesson. For clients who have not been to the dog park at the humane society, the pool is nice and shallow so it is a super safe and great place to practice SUPing for pups. Spaces are limited and we are opening this event up to AST clients first, so if you plan on attending, send an e-mail to Andrea@AnimalSmartTraining.com to get registered and save your spot! The cost is $30 per dog-handler team. No prior experience needed. 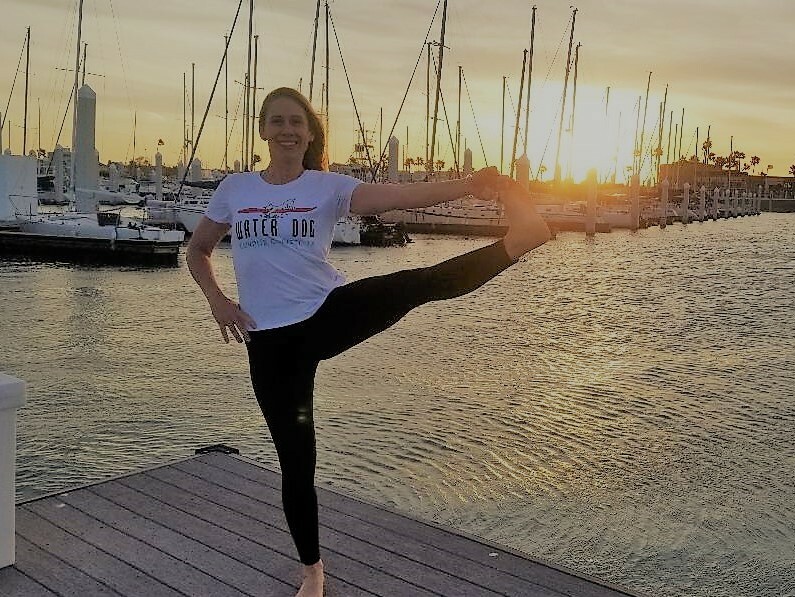 Heather McVay is back on August 5th at 6pm for our second SUP Pilates/Barre Fusion class of the summer! 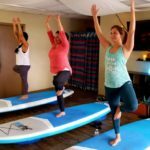 This class combines mat Pilates and barre fitness on a Stand Up Paddleboard on the water plus a portion of class will be on the upper deck to get the most burn out of the barre! 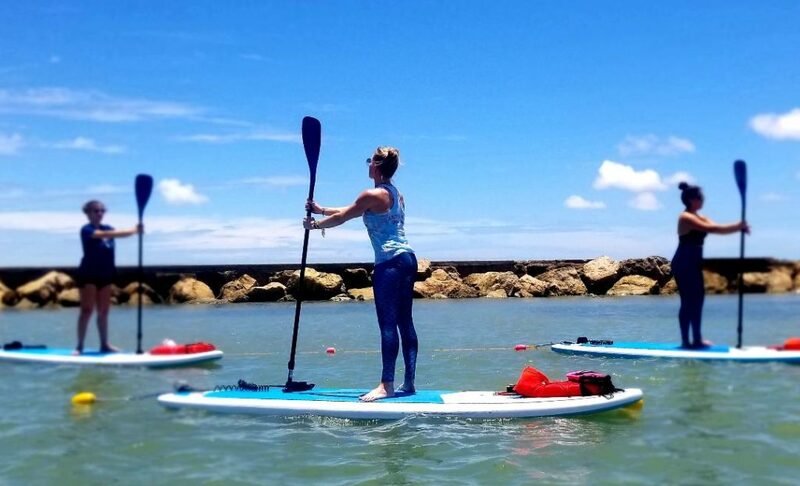 Heather will teach you to use your core balance and stabilize yourself on a paddleboard. The paddle will be used in the SUP Barre classes to help balance, burn and stabilize. These classes also help develop flexibility, balance and stamina. 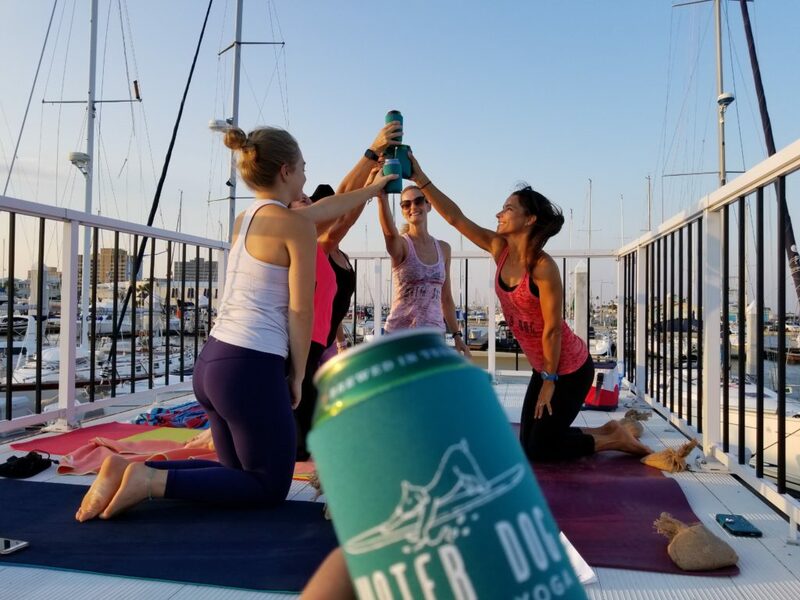 Beer Yoga this month is scheduled for Wednesday July 15th at 7pm. 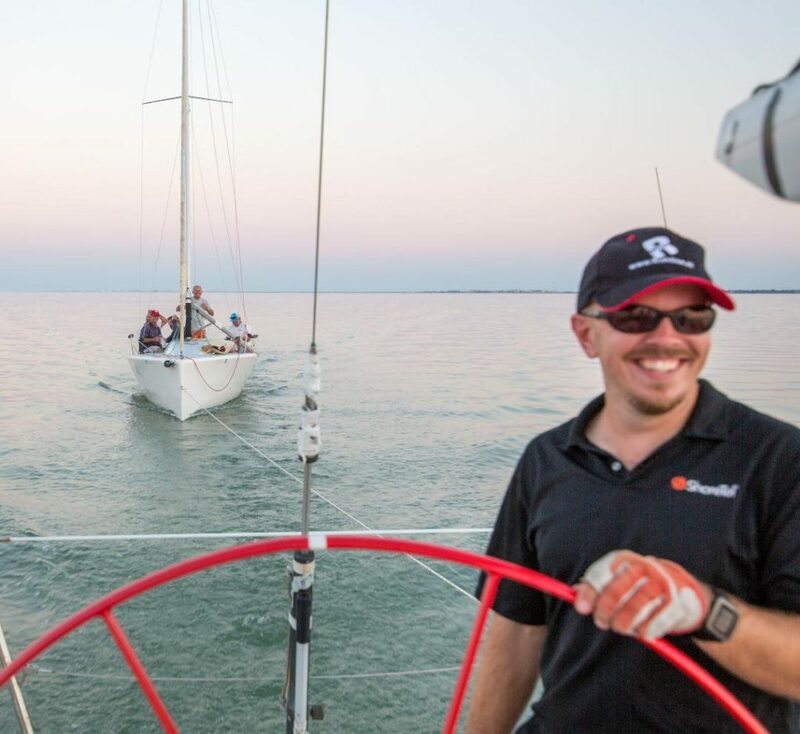 You will be able to catch the end of the Wednesday night sailing races while do a relaxing yoga session and mindfully sipping you beer out on the water. This class is held on the top deck. It is BYOB, 1-2 cans are recommended. 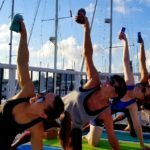 This is a fun, playful class where we incorporate, appreciate and give thanks to the beer in almost every pose! Each month we honor the full moon and its positive energy with a gentle yoga class, including a short meditation and full moon ceremony. Moonlight Macrons is also providing a custom full moon macron, especially for this event. Each month the day and time changes depending on the moon. We usually start class around sunset and start to see the full moon rise during class. 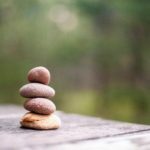 We include moon salutions and a relaxing yoga sequence . 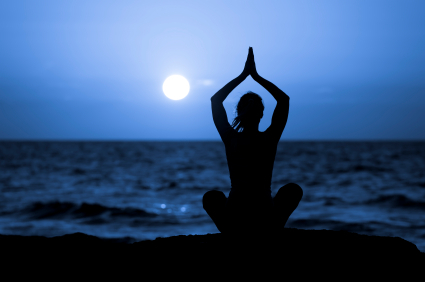 This month Full Moon Yoga will be Sunday August 26th at 7:45pm. 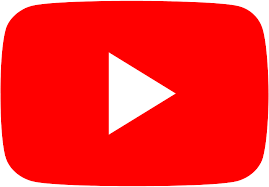 What else is happening in August?